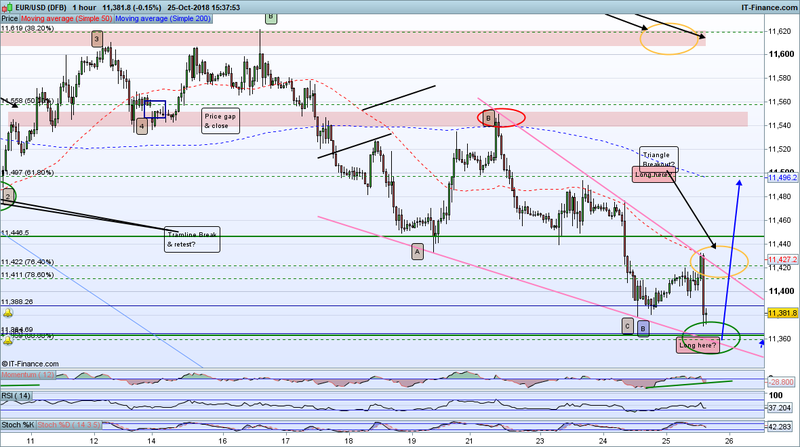 I'm currently short off the recent tops but looking to go Long again for a stronger retrace before EURUSD craters. On the Weekly chart we have seen a strong Pennant break to the down side but that has halted and rallied of late. I don't believe this rally is finished, I believe we are in the middle of a classic A-B-C retrace that will likely move back to at least the 62% Fib and quite possible a retest of the Pennant breakout point (see attached charts). At this stage a strong drop is indicated that will that this market down to, well a long, long way, as a flight to USD safety ensues. Short term I am targeting 11,500 (or if that fails, 11,400 - after which all bets are off!) for a rally and go Long point. Anyone else trading this? Thoughts? pdf s wont open for me ??? If you click the links as they're PDF's they'll save to your download folder. Hey @Mercury - as an FYI if you have an image you can click and drag it onto the Community when you're writing your post and I'll be added to the post. Whilst I'm not an avid supporter of technical analysis, I do believe that it has it's place. It looks like it's just recaptured the 1.16 level which is nice to finish the week and it's looking like we're going to close the week above. Importantly this will also be the end of the quarterly close, and coming off all this Italian stuff ... who would have known! We're certainly at an important time looking at the technical aspect. 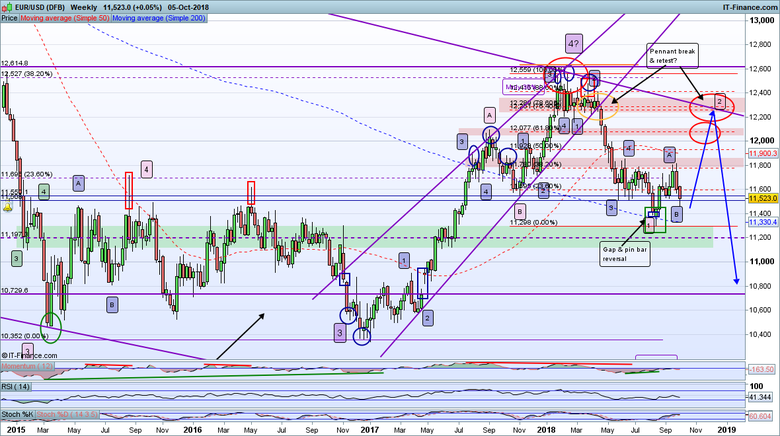 NFP next week.... that's the key contender here. Hey @Mercury, nice to see you back on the forum (god knows we can use all the help we can get). ? Hi @Caseynotes, me too! Still scalping FX? 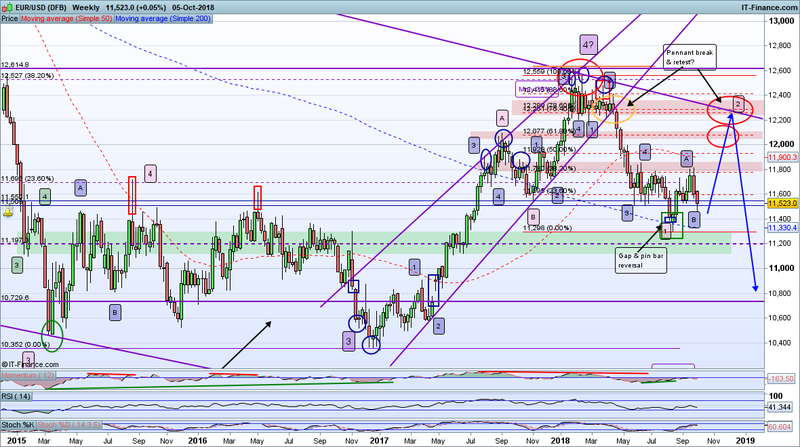 Any views on LT outlook for EUR/USD, GBPUSD etc? Hi @Mercury, I layed off the FX a while ago, from an intra day perspective the volatility has been very low for some time now while the Dax became some what more manageable and less skittish so I currently look to the Dax and FTSE, no doubt at some point things will turn round again. The GBPUSD has been at the mercy of the Brexit headlines for a long time now so really hard to call while EURUSD bounced down off the 100 MA and the trendline early in the year (monthly chart) and not done much for the last 4 months. BTW I haven't been able to open your pdf charts either (not in downloads), not sure why some can and some can't? I think the new forum doesn't like PDFs so have used PNG for the Nasdaq post, let me know if you can see those and I will repost the EUR and SP500 charts. I'm taking profits on EURUSD and looking for a reversal now. Market could drop further past 11,500 but better safe than sorry for me. 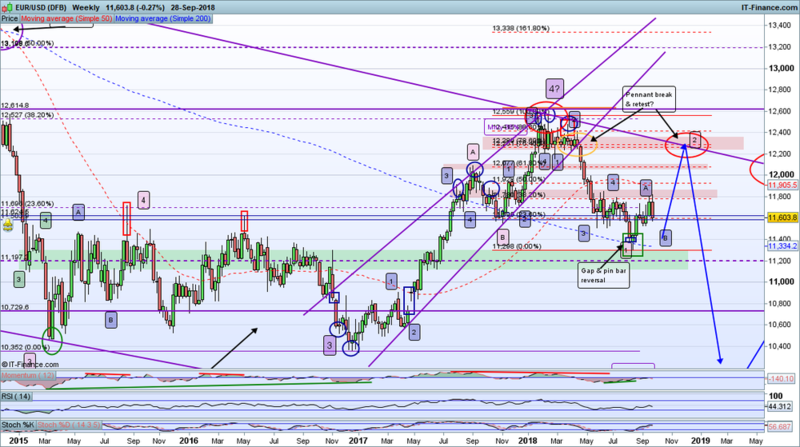 I think GBP still has a way to go and therefore my view that EURGBP will rally holds. A breakout of resistance trend-line will be interesting for a Long trade for me, especially if this occurs after a hit in the 11,500 area support but watch out for a false breakout with a W3-4 retrace. No need to rush this. As I had suspected might be the case, the rally yesterday was a retrace and now this pair are moving down into my 11,500 strike zone (Fib 62% level off the Wave A completion and the previous market bottom). There remains a chance that the pair could drop further to the Fib 76/78% level under pressure from Friday's US NFP data release. Alternatively it could bob about around the 62% level until then OR it could bounce away and retrace a rapid and volatile spike on US NFP. Ah the vagaries of trading..! 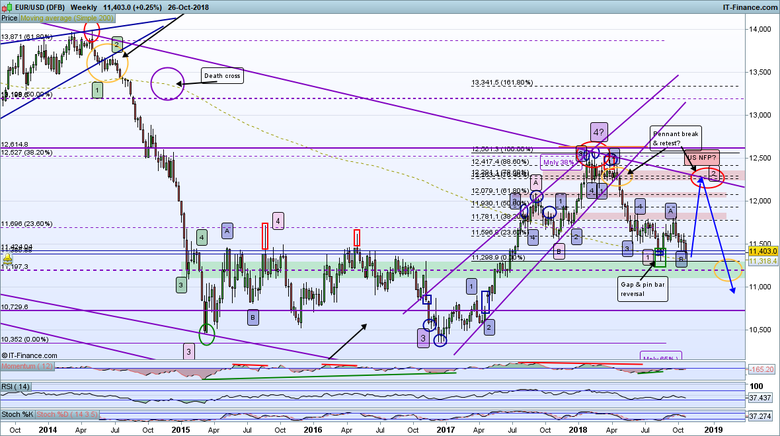 Taking a Long on the 62% is speculative and if I do I will keep a close stop to guard against a continuation of the move lower. A break of the Triangle is my favoured entry point but will require a wider stop to account for US NFP volatility. 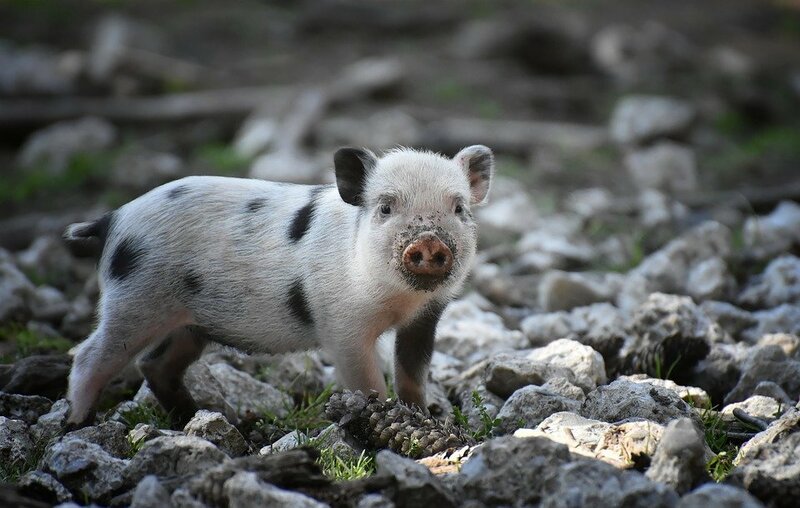 As ever I will only decide when I see the appropriate price action signals but for now I have already cleared my Shorts for profit and am waiting in the tall grass for potential Longs. See something similar on GBP, although it is a bit slower to drop off but should get going with a vengeance soon if EURGBP signals are to be believed. 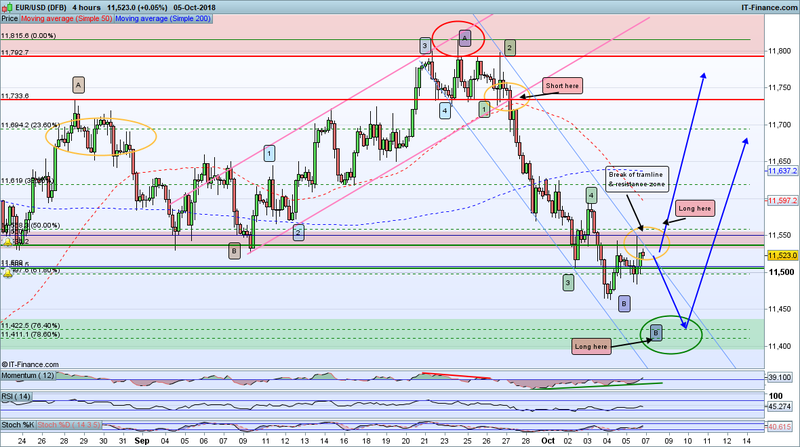 Also is anyone watching AUDUSD? 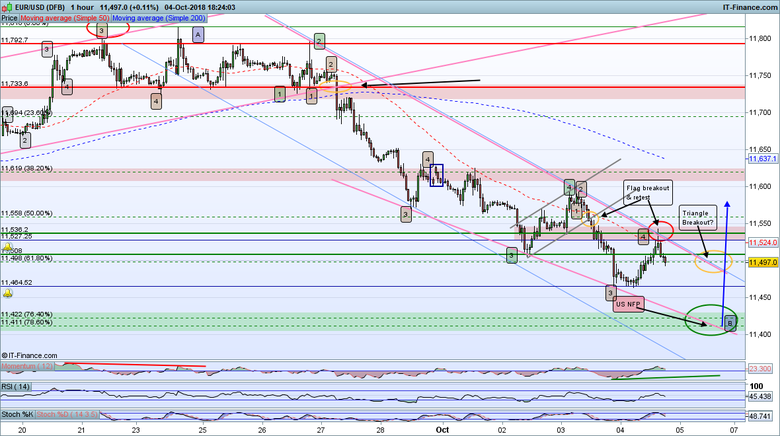 It seems to be leading the charge just now and a great early indicator for EURUSD. Oh and BTW, AUDUSD just made a lower low! 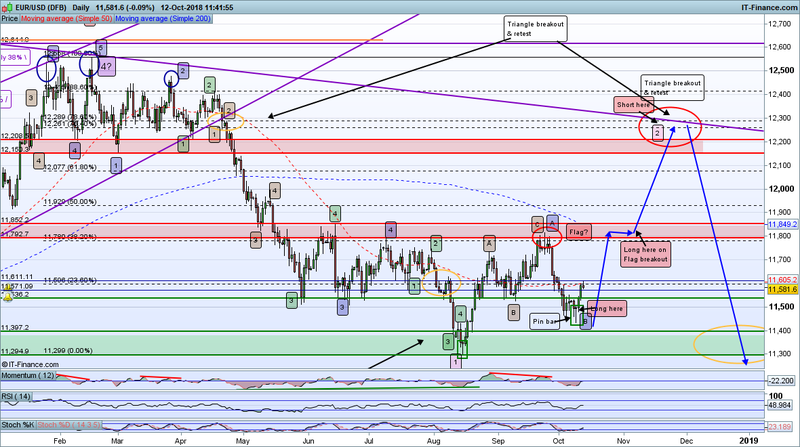 Very similar set up to GBPUSD, the Medium term road-map remains in play suggesting a retrace rally off the Fib 76/78 support zone in confluence with the lower Triangle line and aligned to US NFP data release. As with GBPUSD, a break below this (other than a volatile pin bar break and recovery) negates the rally scenario and suggest the long term Bear is already on. A breakout of the upper Triangle line is a strong indicator that the rally is on, especially after NFP release and with PMD. So much for NFP. Markets appear to have turned ahead of the data release, subject to confirmation. I have a strong breakout from Triangle on EURUSD and even stronger on GBPUSD. Same appearing across the board really, including on Gold/Silver. 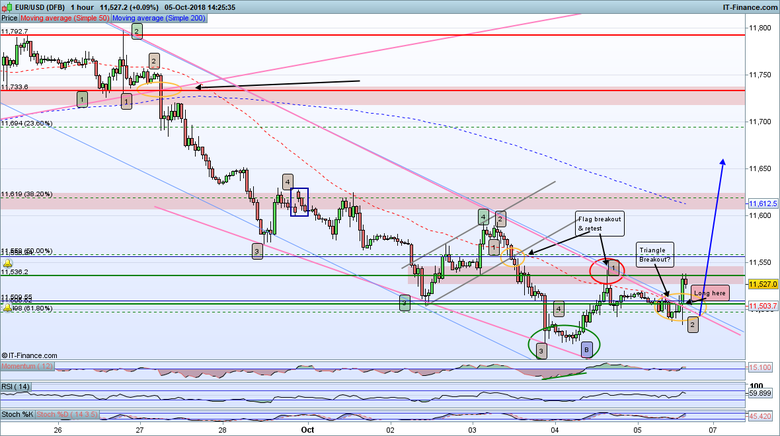 Not fully confirmed but good indicator that another leg down for USD is on the cards. Weekends are a great time to assess the weeks price action and consider your current scenarios (and look for others or contrary scenarios). It is all too easy to get wedded to a trade and fail to respond to price action signals. For the EURUSD I remain Bullish in the medium term but the US NFP reaction was far from indicative that this market has turned into a rally. The break of my original tram-line was weak and unstained, unlike GBPUSD! (more on that separately). This sent me re-looking at my original set up and I found better tram-lines on EURUSD and DX that suggest the Wave B retrace may not yet be complete yet. Add to this the AUDUSD is decidedly bearish still, and this market has been a leading indicator for a while now, and my feeling is that there is a higher probability that we will see another leg down on both AUDUSD (already happening) and EURUSD before that strong rally. My approach will be to go Long on a strong breakout through my new tram lines (blue lines on 4 hourly chart) whether that happens imminently or better still after a bounce off the Fib 76/78% area (where, depending on price action, there may also be a chance for a speculative Long with a close stop). 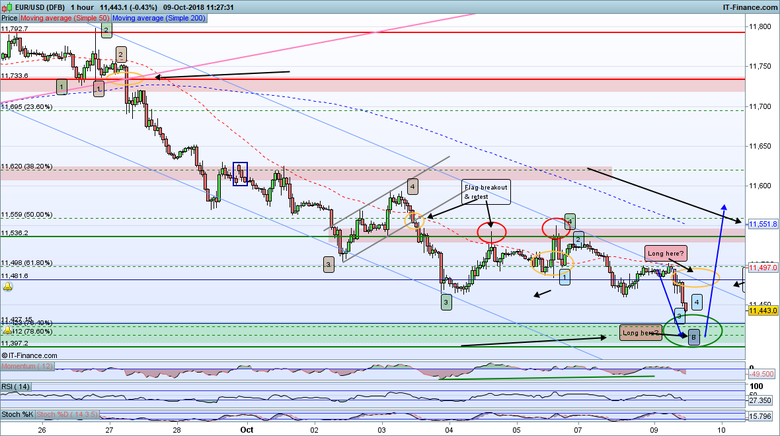 In support of this I will ideally want to see PMD on the 1 hourly chart and other USD pairs also rallying. If we do get a rally then you can see the potential points on offer from the Weekly chart. Anyone trading FX pairs and what do you think? Would really like to know what others are think, which is the point of these posts. So the EURUSD pair is following my road map nicely so far (as are GBPUSD and AUDUSD and some others I watch for signals, although AUD is proving a little more resistant just now and retains 2 scenarios). 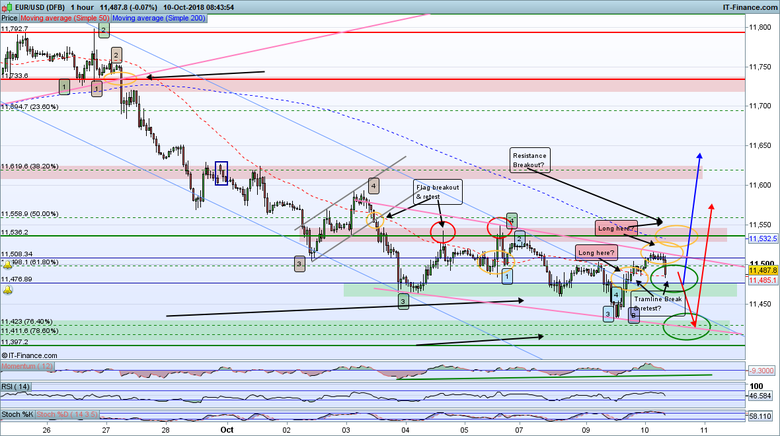 The moment of truth is approach on EURUSD though (and therefore similarly on DX). 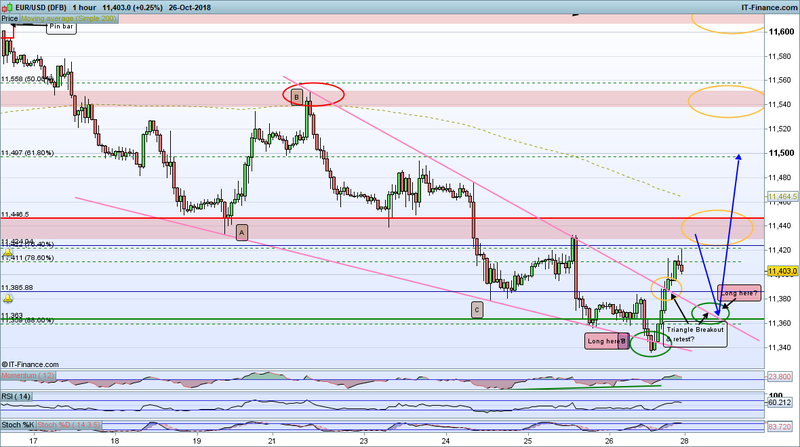 With the market bounce off the Fib 76/78% area and turn or power through? Time and price action will tell the tale soon I feel. On my 1 hour chart you can see scenario 1 with the blue arrow (my lead scenario) and #2 with the red arrows. In either scenario the safest best trade is a break through the upper pink line, that forms a potential ending Triangle (if price does test the Fib 76/78%). There is also a resistance zone a little higher, which I would like to see strongly broken to declare the rally on. Caution required until this becomes clearer! I'm happy that this trade Long on EURUSD and other USD pairs is working according to my road map (famous last words and all that - and caution with break even stops required, as always, with financial markets...). So for me it is about medium term trade management. Pyramiding a retrace can be problematic and often a bad secondary trade winds up with a trader having to cash a good position to cover or take the hit and hope the direction resumes the retrace. Pyramiding works best on long ans strong motive waves, which this is not, I believe. I'd rather not put that kind of emotional pressure on myself so my approach is to get in sufficiently early on breakouts and move to break even with stops after suitable retests are done with. This is what I have now done. So trade management part 1 is done now for part 2, the exit and reverse (this is swing trading!). I have attached my daily chart analysis and road map projection where I am forecasting a flag at about half way to the end of the retrace rally (this will not happen exactly, may not even happen at all, but is a guide I use to help make sense of things). The Flag will help me spot the likely end and turn back into the Bear and hopefully it will align to my other analysis data points but let's let the market price action inform us of that in due course. For now I will wait at zero risk (except for a flash crash of course, not so likely with such a big market as EURUSD) for the market to take its course and potentially consider another Long on a decent Flag breakout (although I will probably not risk it, preferring to focus my attention on maximising what I have and picking the start of what I hope will be a long Shorting campaign to come). A key part of this is not holding on to the bitter end. As we saw with the turn up the market turned short of support zones and Fibs (within the margin for the analysis to be correct) so the safer strategy is to exit a little bit early (I am looking for a Wave 3 top here) and then get psychologically geared up for a reversal with profits from the Longs in the bag. Interested to hear if anyone has other approaches to trade and exit management. UP, up and away! A break of near term resistance brings up a long Wave 3 rally to the 12,000 zone initially, maybe even 12,300, will depend on price action within the rally. That dip and rebound is what I have been looking for. If we get a rally from here then the retrace move back up to the 12,300 mark could be on. This would tie up with a stocks rally AND Gold/Silver rally. 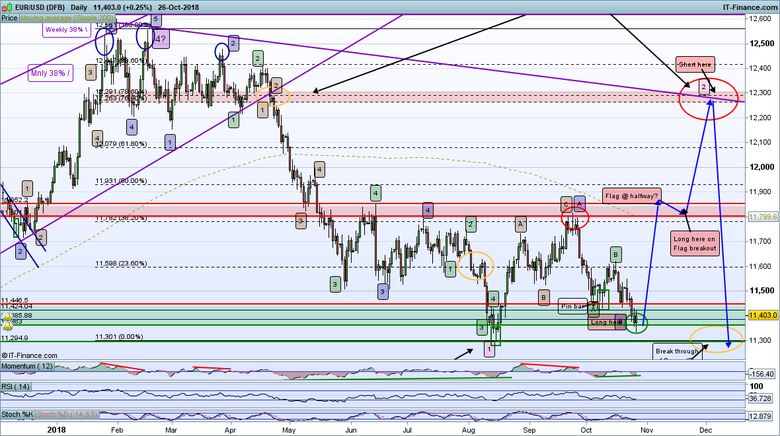 Only a break down through the 15 Aug low would change the set up to full on long term Bearish. This market is staying nicely within a descending Triangle, typically a so-called ending Triangle or Diagonal set up. If a turn into a rally is to come it must do so before a break of the support area as this leads to a long term Bearish scenario. Wave Bs can go to an almost double top/bottom so we cannot know which way it will go until we see a confirmed turn or a break through support. 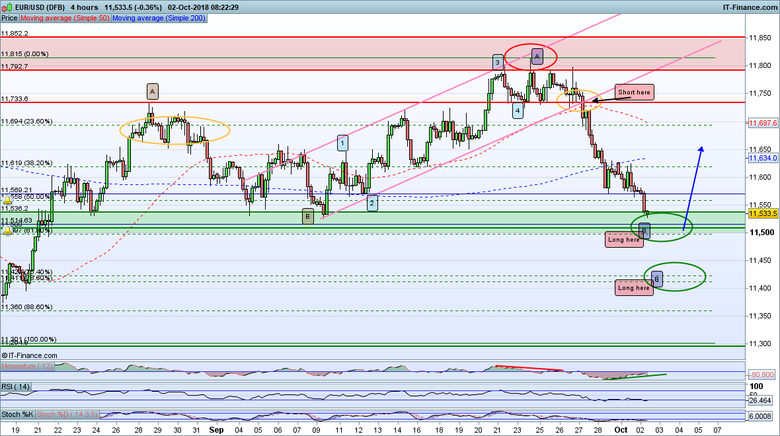 A turning zone around 11,360 is indicated as this is on both the Fib 88.8% and the lower Triangle line. 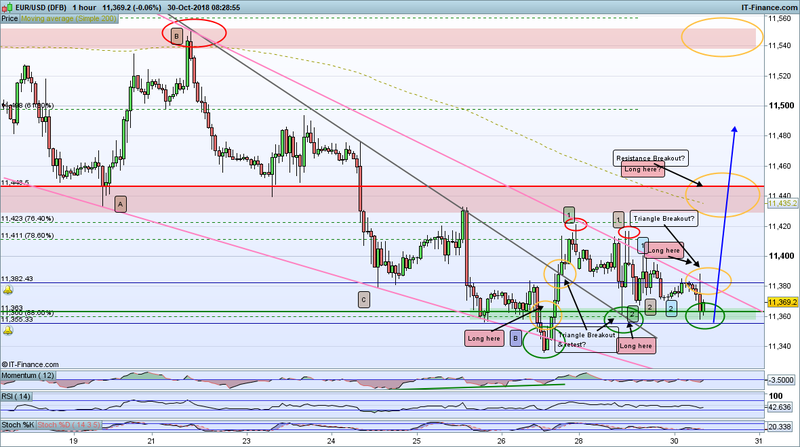 I also have good PMD on the hourly chart and similar set up on GBPUSD. Ideally I would be waiting for a confirmed turn and breakout of the upper Triangle but a speculative with a bounce off the 11,360 with tight stops is also viable (EUR is a lot less spiky than GBP). The Weekly chart shows the wave 1 (pink) turn with a pin bar (bullish signal). There was PMD at this point and now the A-B (blue) looks good in an A-B-C formation (retrace against the main trend). Nothing much has changed since the Wave 1 pin bar so my over all assessment of a retrace rally remains intact until the Wave 1 is broken. The Daily shows the above in close up. Initial I had thought the Wave A (Green) was the Blue wave B, because of the strong pin bar. There was no PMD, which is not necessarily a problem for a Wave B turn. However now we do have PMD on the current Wave B turn (if it is proven to be so...) and again a strong pin bar and positive rally away from last ditch support. The A-B-C form of this move so far is clearer on the Daily and again this is indicative of a retrace move against the larger trend direction, thus supporting the Wave B assessment and rally so far. Probability of a decent rally in retrace is high for me. This would be the third wave (wave C) of the retrace, which usually runs hard and fast in a 1-5 wave pattern, with likely a Flag formation around about half way. I am targeting the 12,300 retest of the weekly chart down-sloping trend-line, which is also the Fib 76/78% AND a retest of the Weekly Triangle Breakout zone. Where the Flag consolidation occurs will be a key factor in determining if this scenario is valid. I already have a speculative Long, stop protected off the Wave B turn. I did not take another on the breakout of the Triangle as I feel a retest is likely due to the need to see a small 1-2 retrace as part of the 1-5 rally up to about the 11,800 level. Therefore I will be looking to go Long again when I see that small retrace concluded and consider a pyramiding approach thereafter (note in all likelihood I will not seek to Pyramid this too much as the risk of a reversal is higher than with Shorts in this market. Very keen to hear view in this overall assessment and especially if you see it differently. Anyway on EURUSD I have 2 possible Triangle formations, the first previously detailed (gray upper line) shows a break and retest and now retest of that first retest support level and currently bounce away. 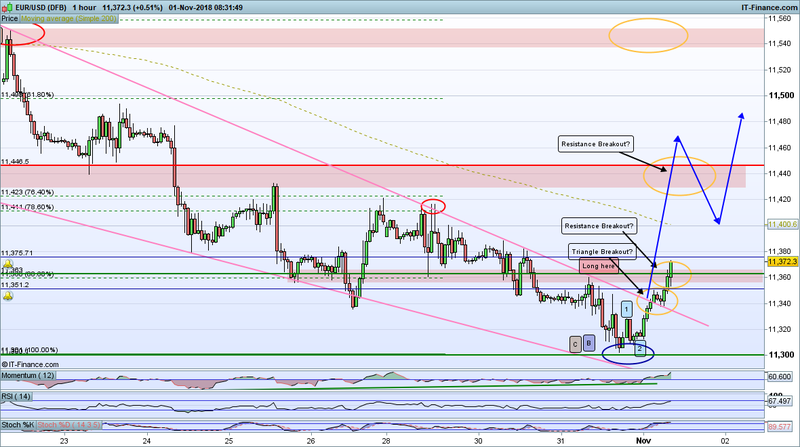 The second (pink upper line) shows near term overhead resistance. I suggest that a breakout of this second Triangle is a good indication of a rally phase and firm break through the next line of resistance confirms the road map, baring major reversals. 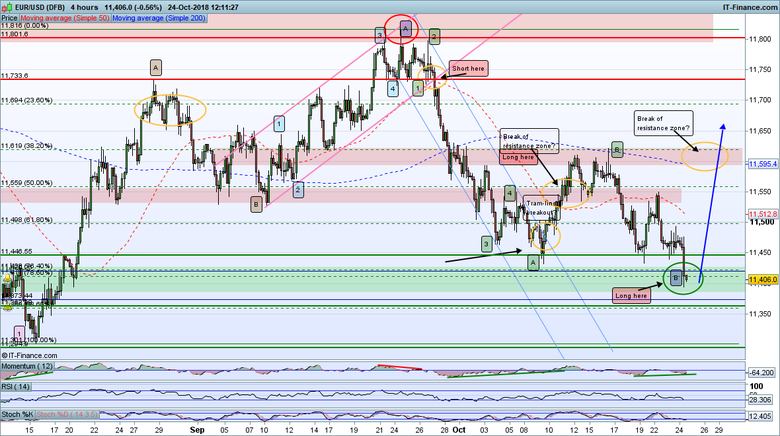 As before I have PMD on Daily, 4 Hr and 2 Hour for the Wave B turn on Friday. I find currencies very hard to trade on. There is so much information to digest and a lot of macro players and data to keep an eye on. In some aspects its a heavily manipulated market with government intervention, and in other aspects its a free market because its so large you need to be a serious player (i.e. government or significant player) to move the market. Stresses me out but I do appreciate looking at these threads to get an insight into the wider economy. Thanks. The larger the market the less prone to manipulation and inexplicable flash moves (EURUSD is a large as the come). This is good for technical analysis from the self fulfilling prophesy perspective and also the entry minimums are lower, thus lowering risk. So net, for me, it is not about a perfect understand (that is impossible). It s about having a methodology for analysing (or assessing) the markets likely moves AND good money/risk management as every time you place a bet it is essentially a coin toss and sticking to that method unless it is proved unreliable (then look for another method). I am curious though, what do you trade? I find FX much easier to handle than any other market types. Having said that they go in cycles so for instance Gold/Silver are working better for me right now but Stocks are very hard to trade presently due to inherent uncertainty. USD appears to (finally) be responding to stock strength (if that is a driver at all). Breakouts in stocks are on the verge or have recently happened just in time for the DX to double top (if it turns out to be so. EURUSD is now approaching my upper Triangle line again. Will it breakout this time? 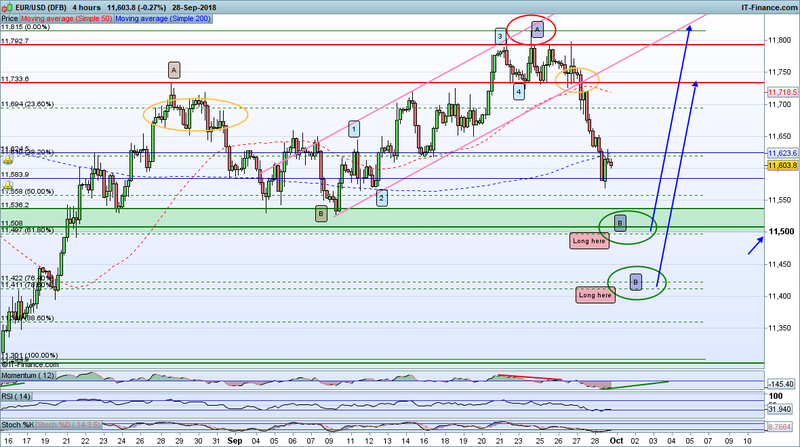 I have PMD at the Wave B; GBP has turned 100 point lower than I thought but short of a double bottom and AUD turned last Friday. Finally a confirmed (as in candle close above) my Triangle breakout zone. And now a break through near term resistance areas, if confirmed, suggests a sustained rally to at least the next resistance area before a necessary retrace. This retrace would be an EW 1-2 setting up a strong rally phase (wave 3). Cannot yet rule out a short term retest of the Triangle but I don't think so... EURGBP is turning to rally also (not confirmed but aligned to road maps), which suggests EUR will hammer it faster than GBP for a while (or retrace weaker...). This wave B has been a beast to trade and analyse because it went to an effective double bottom (daily chart). Nerve wracking stuff. 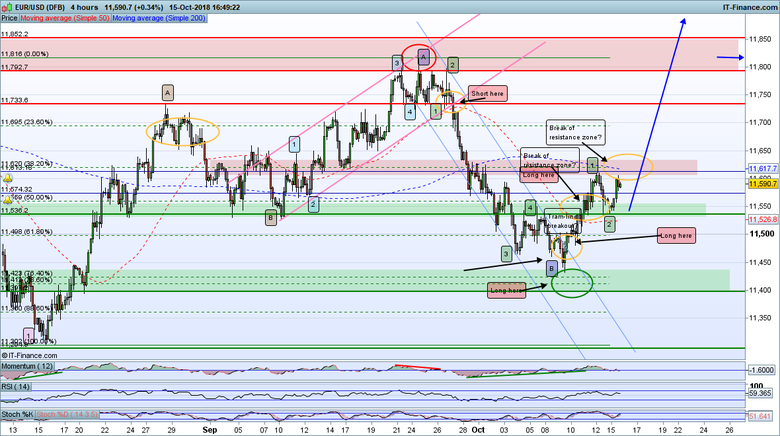 And DX actually put in a new high but DX is, literally, a basket case. But the rally does appear to be on now and would offer buckets of points. If you missed the overnight breakout on any of the USD pairs the next best place to go long will be on retrace. You could take a spec now on ST resistance breakout but stops would have to be below the Triangle breakout point and ideally below a suitable low within the Triangle to guard against a hard retest.